David Mathisen explores the star myths of the world, and speaks the language of the stars. David’s mission, in believing that the stars convey omniscient truths about our dual material-spiritual condition here on earth, is to share his knowledge of celestial metaphor – the esoteric meaning imparted by the authors of ancient, sacred myths found worldwide. In the following article by a humble student of ancient wisdom in the night sky, we are taken a step further in our understanding of the Invisible Realm, and of our unique connection to the infinite. It is a great pleasure to return as Author of the Month in March, 2016. 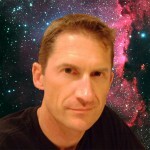 I am very excited about the upcoming opportunity to have some conversations on the message board, and to share just a tiny fraction of the evidence which I believe shows overwhelmingly that the myths, scriptures, and sacred stories of virtually every culture on our planet are based on the same universal system of celestial metaphor, and to discuss some of the aspects of that system and the implications of this knowledge. Together, we’ll explore a few specific myths from various scriptures and sacred traditions around the world, including those from ancient Egypt, ancient Greece, ancient India, the Americas, and from the Old and New Testaments of the Bible. We will see how the “grammar” of their celestial language works and build some “vocabulary” of specific constellations and how they appear in the mythological metaphors. Most importantly, you’ll have the chance to “translate” the celestial language on your own. I hope by the end of the month you’ll agree with me that not only can the myths based upon a common system of celestial metaphor (which shows – contrary to what we are generally taught – that all of them are united and share some sort of “familial connection,” including the stories of the Bible), but that knowing more about their celestial language also allows us to benefit from their ancient wisdom. I was here in January 2012 and it was a very positive experience for me. I am very grateful to Graham Hancock and to all of you for having me as a guest and for providing this wonderful forum where we can share and debate important ideas and evidence regarding the mysteries of humanity’s ancient past . . . and the implications for the present! I’m very much looking forward to reconnecting with everyone! Evocative ruins of Ta Promh. Wikimedia commons (link). Virtually all of the world’s myths, scriptures, and sacred traditions can be conclusively shown to be based upon the motions of the stars. This includes all of the scriptures of the Old and New Testaments of the Bible, which for the past seventeen centuries have most commonly been interpreted and taught as though they were intended to describe literal and terrestrial events, when in fact the evidence that they are based upon celestial metaphor is overwhelming. Although they are often taught as being distinctly different from other myths around the world, the fact that they are based on the constellations and heavenly cycles of the sun, moon, stars, and visible planets indicates that the stories in the Bible are very closely related to the myths of ancient Greece, ancient Egypt, ancient Sumer, and to the myths and sacred stories of cultures as far removed geographically (and temporally) as those from Japan, China, India, the Americas, the Pacific, Australia, and Africa. The volume of evidence available to us in the myths is sufficient to demonstrate the validity of the above statements many times over. The specificity of some of the metaphors which can be shown to be used in cultures as far removed as ancient Egypt and Aotearoa (New Zealand) or Hawaii argues strongly against the possibility that these myths sprang up completely independently, and suggests that there may have been some now-unknown ancient source which all of them had in common (as well as the possibility that there was ancient trans-oceanic contact taking place to an extent that is declared an impossibility according to the conventional narrative of human history). I am not the first to have suggested that, in addition to the archaeological, geological and “technological” evidence revealing that we exist in the midst of the shattered remains of an enormous physical structure of antiquity and sophistication, there is a sense in which we are also, simultaneously, living in the midst of what we might call an enormous ruined spiritual structure, the outlines of which can be seen in the myths, scriptures, and sacred stories that are also found in virtually every culture and corner on our planet. 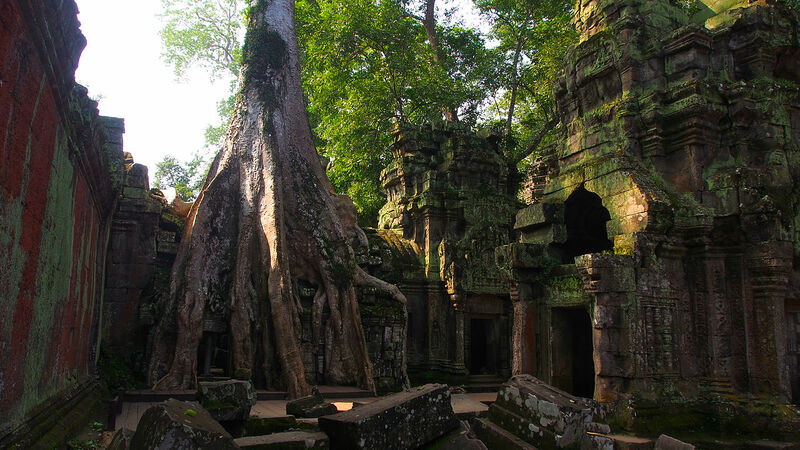 These stretch across millennia and evince tantalizing points of resonance across great geological distances and nearly incomprehensible stretches of time. The dust of centuries had settled upon the remains of this great world-wide archaic construction when the Greeks came upon the scene. Yet something of it survived in traditional rites, in myths and fairy tales no longer understood. But they are tantalizing fragments of a lost whole. 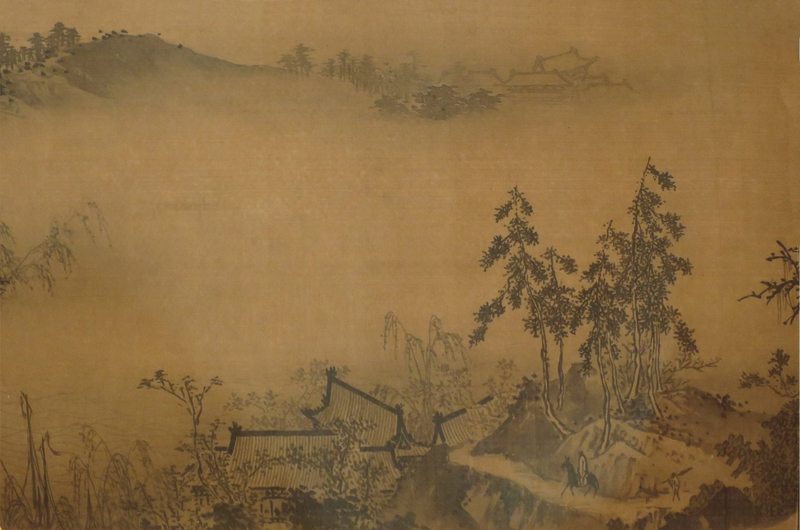 They make one think of those “mist landscapes” of which Chinese painters are masters, which show here a rock, here a gable, there the tip of a tree, and leave the rest to imagination. Even when the code shall have yielded, when the techniques shall be known, we cannot expect to gauge the thought of those remote ancestors of ours, wrapped as it is in its symbols. Their words are “no more heard” because their language has been forgotten, or even deliberately destroyed. There have, however, been those over the centuries whose work has pointed to the celestial language that the ancient myths are speaking, and who have suggested how it might function. Based on their hints, I have been able to piece together a sort of “incomplete dictionary” or phrasebook which can help us begin to hold some tentative conversations with these ancient messengers from the distant past. I am certainly not claiming to have uncovered the entire system, or to have made discoveries all on my own – the lectures of the Reverend Robert Taylor (1784 – 1844) contain invaluable explications of a huge collection of Biblical texts in light of their celestial originals (although I do not always agree with all of his suggested connections or conclusions). The voluminous and inspired writings of Alvin Boyd Kuhn (1880 – 1963) have also been absolutely essential to my investigation (even though Kuhn generally stays at the level of the great “stations of the year,” primarily the solstices and equinoxes as well as the cross-quarter days, and does not really get down to the level of the constellations themselves and their direct correspondence to the mythical figures and scenes). Artists in previous centuries also appear to have been schooled in the details of the celestial system, whether they were taught all of the connections between the stars and the artistic conventions they observed or not. The accomplished painters of the exquisite red-figure and black-figure pottery of ancient Greece provide clear celestial details in nearly every artistic depiction they make of the scenes involving the various gods and heroes of myth. And, I would be remiss not to acknowledge the fact that the “ancient ruin” described by Hamlet’s Mill, unlike the vast grid of ruined archaeological monuments scattered across our globe, is actually largely intact in some parts of the world, and even (it could be said) still in use among some cultures! In particular, the Vedic tradition has survived in India in what appears to be an almost undamaged form among some lineages and traditions – and there are other places where the voices of the ancient wisdom were not stilled, or (worse yet) co-opted by those who mistranslated or misrepresented what they were saying. Because, and this is actually an extremely important point for understanding human history as it has unfolded since the period we designate as “antiquity,” it is primarily in the cultures of “the West” (those cultures controlled by the western Roman Empire, and the later colonies of the western European cultures) where the break with the ancient wisdom given in the myths was the most abrupt. At some point in what we call the first four to five centuries AD (or CE), the ancient Oracles were shut down, the ancient Mysteries were discontinued or disbanded or outlawed, and the understanding – that the myths are in fact esoteric celestial metaphors which point us towards the understanding that there is an Invisible Realm, the realm of the gods, with which we and all of nature are always connected at all times – was declared to be heretical. Instead, the stories were to be understood literally – an approach that tends to lead people to interpretations of the ancient sacred texts which (I believe) is 180-degrees out from their esoteric and celestial message. As we recover our understanding of their celestial and esoteric structure, I believe that this esoteric and celestial message, which can also be accurately described as a shamanic message (although that word can be over-used and does require some qualification) has been the intended message all along. The overwhelming evidence that the stories are based on the heavenly motions and celestial cycles suggest that it is the literalistic message that is the misinterpretation. I have now published the first two volumes in what is intended to be a “language course” in the grammar and vocabulary that the ancient myths are using – as well as offering some thoughts on the message that these myths (all around the world) seem to be trying to tell us, using their esoteric celestial language. The title of the series is Star Myths of the World, and how to interpret them. Volume One was published in October 2015, and covers a very brief sampling of representative myths and sacred stories from Australia, Africa, ancient Egypt, ancient Sumer and Babylon (the Gilgamesh-Enkidu series), ancient India, ancient China and Japan, and from the indigenous cultures of the Americas and the Pacific Islands. Volume Two was just published in February 2016, and focuses entirely on the myths of ancient Greece. It contains a complete celestial analysis of the Iliad and the Odyssey, with completely new insights that I believe are only revealed as we begin to understand the celestial metaphors within the two incredible poems. In addition, Volume Two explores the celestial nature of many of the primary gods and goddesses, as well as some of the critical myths outside of the Homeric epics, such as the story of Perseus and Medusa. It is my contention that not only do the myths of the world speak the same language (which points to conclusions which absolutely demolish the conventional paradigm of humanity’s ancient past), but an understanding of their celestial language enables us to also understand these myths and their messages in ways that are otherwise simply unavailable to us. In the future, it would be possible to write multi-volume studies of the myths found in the ancient Sanskrit epics of the Ramayana and the Mahabharata (some episodes of the Mahabharata are explored in Volume One), as well as of the Gilgamesh-Enkidu series at greater length, and of other bodies of myth where much primary material is still available for analysis. Once the system is understood, the amount of celestial material to be found in the ancient myths and sacred traditions of the world is truly overwhelming. One of the main purposes of this series is to enable readers to pursue this analysis for themselves, as they learn to “converse with” and “question” the myths in the language that the myths themselves are speaking. The amount of material that could be offered as evidence to support the assertion that virtually all of the world’s myths, sacred texts and traditions are Star Myths, based upon the motions of the stars and planets, is truly overwhelming. I believe that an honest examination of the evidence leads inexorably to the conclusion that the world’s myths – across great distances, intervening oceans and millennia – employ the same language and system of celestial metaphor. This evidence strongly argues for a radical re-evaluation of the conventional narrative of human history. Let’s take a look at a very important example which proves that these assertions are based upon evidence that one can examine for oneself, using texts and records that have been used by scholars for centuries (and thus are not really in dispute to any significant degree), as well as constellations which can still be observed crossing the night sky in our present epoch. It is evidence that is very difficult to dispute, and that strongly argues for a common source (perhaps prior to some cataclysm or disaster that ended the dimly-remembered age prior to what we know as the earliest conventionally-acknowledged civilizations in human history). One of the stories she relates, from the Arawa tribe of Aotearoa, is of the tension between Maui’s mother’s oft-repeated claim that he will live forever, and Maui’s father’s awareness that he omitted certain sacred chants during the ceremony of baptism that he performed on his child, which realizes will make Maui vulnerable to death in the end. Although later scholars of mythology are quick to attribute this “baptism scene” to the supposed influence of Christian missionaries, there are several reasons to be cautious about jumping hastily to conclusions. The scene of the “failed baptism,” which causes the semi-divine hero to eventually be doomed to mortality instead of to invulnerability, is in fact found across ancient myth, including ancient non-Christian myth. Readers are probably familiar with the many versions of the story of Achilles, whose mother – the divine sea-goddess Thetis, a daughter of Nereus – intends to make him immortal by dipping him either in a sacred fire or in the waters of the river Styx. In some versions of the story, he is snatched from the fire by his terrified mortal father, Peleus, and thus denied immortality. In other versions, of course, the portion of the boy’s heel where his mother held him when she dipped him into the flames or the waters is left vulnerable: his Achilles’ heel, where he is eventually shot by an arrow fired by Paris and killed. Note well the similarities to the Maui-myth: it is the error of the father which foils the mother’s attempt to make him invulnerable in the Achilles myth, and in the Maui myth the pattern is very similar, for Maui’s mother boasts that he will be immortal and will even destroy death and free humanity from its clutches. But due to the botched baptism administered by his father, Maui is doomed to someday die himself, instead of ending the reign of death. And so once more we see the pattern of the “incomplete baptism” (often by fire), by which incompleteness the child is fated to mortality instead of immortality. It should be observed that the Maui story of the “incomplete baptism” (replete with mythological details such as transformation into a bird) resembles the Achilles baptism (in which an infant is dipped in the river Styx or held over a fire, thus obviously mythical) or the incomplete baptism of the child of Byblos by Isis (in which the goddess turns into a bird) far more than it resembles any standard, literal, Christian baptism. It is in my opinion objectionable to assume that the Arawa must have borrowed the concept from later missionaries and inserted it into their Maui myth, rather than to explore the possibility that we have here yet another manifestation of a mythical pattern found literally half a world away, among the ancient Egyptians and the ancient Greeks – seemingly separated by the passage of tens of centuries (at least). These resonances — between myths of different cultures — would be proper to take up in any conventional “comparative religion” course at a university or other academic institution. But when we add an understanding of the celestial sources which almost certainly inform these three sacred myths found all around the world and across millennia, the likelihood that they all sprang up independently reduces to near vanishing-point. Below is a screenshot of the portion of the night sky which I believe contains the various constellation and celestial features being allegorized in all three of the above examples (and in many other Star Myths around the world, some of them extremely well-known). 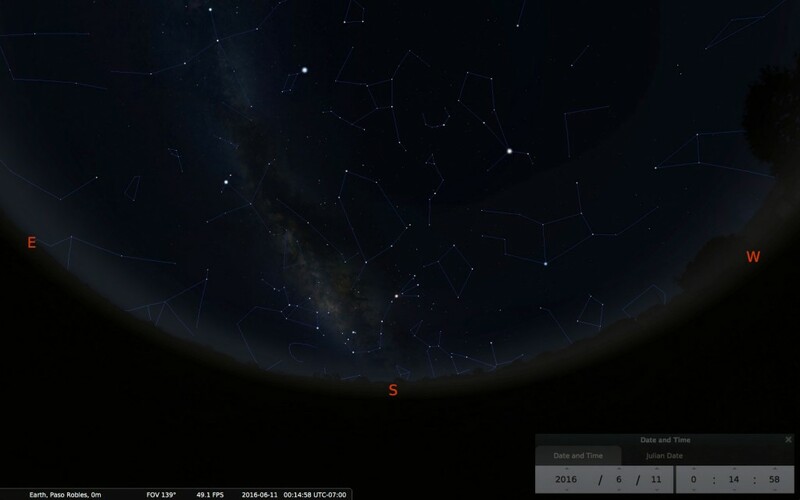 The screenshot is from the free open-source planetarium app called Stellarium (available for download at stellarium.org). One must compromise with all methods for presenting constellations on a flat surface; in this case, the view attempts to simulate the “wrap around” effect of the horizon to the left and right of the direction we are facing by curving the horizon upwards along the east and west as we face south. Thus, constellations will appear somewhat distorted (and larger) as they rise in the east and set in the west, and smaller but somewhat less distorted as they cross through the sky in the direction we are facing (due south). In the above diagram presented from the perspective of an observer in the northern hemisphere, we are looking south towards the brilliant constellations of Scorpio and Sagittarius, and in between them the rising column of the Milky Way galaxy, in the region of what is in fact the Galaxy’s brightest and most visible section (the Galactic Core). 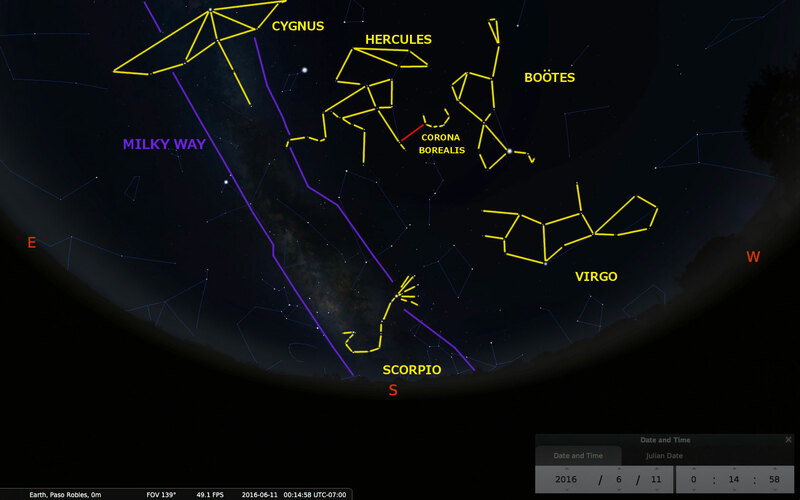 To the east of Sagittarius (just rising above the western horizon, on the left as we look at the page) is the zodiac constellation of the Goat of Capricorn, and to the west of Scorpio are the zodiac constellations of Libra and of Virgo, in her characteristic “recumbent” orientation as she crosses the sky. Let’s draw in the constellations which play an important role in the Star Myths we are examining, using the outlines suggested by well-known children’s author (and also author of superlative books on finding the constellations in the night sky) H. A. Rey (more on the importance of Rey’s method of outlining will be discussed later this month). Some of the outlines shown are slight modifications from those suggested by H. A. Rey. Can you see how Scorpio might appear in myths around the world as something or someone to whom Virgo has just given birth? Notice that she is recumbent, ahead of Scorpio in the sky during the nightly journey from east to west, and is in fact lying with her feet elevated, with Scorpio down below her (from the perspective of a northern-hemisphere observer). In the Maui story as told by the Arawa storyteller of Aotearoa and as recorded by Katherine Luomala in her collection of Maui myths (and in many other versions of the Maui legend found around the Pacific), Maui becomes a little older and seeks to discover where his mother and father disappear to each morning when the sun comes up (an appropriate question to ask, especially if your mother and father are constellations, which do in fact disappear when the sun comes up). He discovers that they disappear down a hole into the earth – another description appropriate to a constellation which sinks into the western horizon and appears to descend into the earth due to the daily rotation of our planet towards the east. This easterly rotation causes the sun, moon, and celestial objects to appear to pop up out of the eastern horizon and cross the sky from east to west, and then sink down into the western horizon. So, Maui with his supernatural power transforms himself into a pigeon and flies down the long narrow tunnel under the earth to see where they go each day. Can you see him flying down the tunnel in the diagram above? There are actually two majestic birds in the Milky Way column in the section above Sagittarius and Scorpio in the sky: Aquila the Eagle and Cygnus the Swan. For the sake of simplicity I have only outlined Cygnus, who almost certainly plays the role of Maui in this myth, flying downwards through the “narrow tunnel” (formed by the Milky Way itself). Once down in the underworld, Maui has various adventures and confrontations, but the subject at hand is his “incomplete baptism.” Can you guess what stars might portray this important event? It isn’t easy to determine what stars the ancient myths might have been encoding here unless you spend some time looking at a variety of ancient myths and stories – including, as it turns out in this case, some of the stories in the Old Testament of the Bible. To figure out what stars might be the original for this scene, let’s briefly examine the myths surrounding the baptism of Achilles, of which there are two different visions of the medium by which the child was to be made invulnerable. In many versions of the myth, it is fire in which Thetis would place her child, just as in the myth of Isis in the palace of the King and Queen of Byblos; in other versions, it is the River Styx. For the sake of brevity, know that I believe that in each of these two instances, the shining column of the Milky Way plays them both, being envisioned as either the smoky fire or the silent stream. If you look at Scorpio again, you will see that the constellation does almost resemble a log that has been tossed into a fire, with smoke rising up above – and in fact in some versions of the Achilles baptism story, Thetis burns all of Achilles’ brothers and sisters in the fire in her attempt to make them immortal before she gets to Achilles, the youngest (the “multiple heads” of Scorpio no doubt gave rise to this aspect of the myth). Look high in the sky and you can see the constellation who snatched Achilles out of the fire before he could be made completely invulnerable – his father Peleus, played by the extremely important constellation Hercules. The yellow outline represents the shape of Hercules as envisioned by H. A. Rey, with one arm holding a great club in a menacing upraised position, and the other arm reaching out in front of Hercules. I have also added a red line from the “middle star” in this outstretched arm of Hercules to the nearest star of the arc formed by Corona Borealis, the Northern Crown, directly in front of Hercules (between Hercules and Boötes, in fact). In other words, as normally envisioned, Hercules is not really “holding the Northern Crown.” But I am arguing, based on myths found around the world, that Hercules is often envisioned as reaching out to grasp the near branch of the beautiful crescent of the Northern Crown (Corona Borealis). I illustrate the “line” that we can envision as his forearm using a red line in the chart, to show where the forearm is envisioned when he grasps the crown. I believe – based on my extensive analysis of the myths – that this figure of Hercules “holding” the Northern Crown was envisioned as the father of Achilles snatching the infant out of the flames, the Northern Crown being the infant, arching vigorously, as an infant will sometimes do (especially when frightened). In fact, Hercules’ holding of the Northern Crown was anciently envisioned as holding this vigorously-arching infant by the heel. To support this argument most quickly and effectively, I must briefly turn to another Star Myth not covered in Volumes One and Two, but familiar to an audience from cultures that have been influenced by the Bible for many centuries. 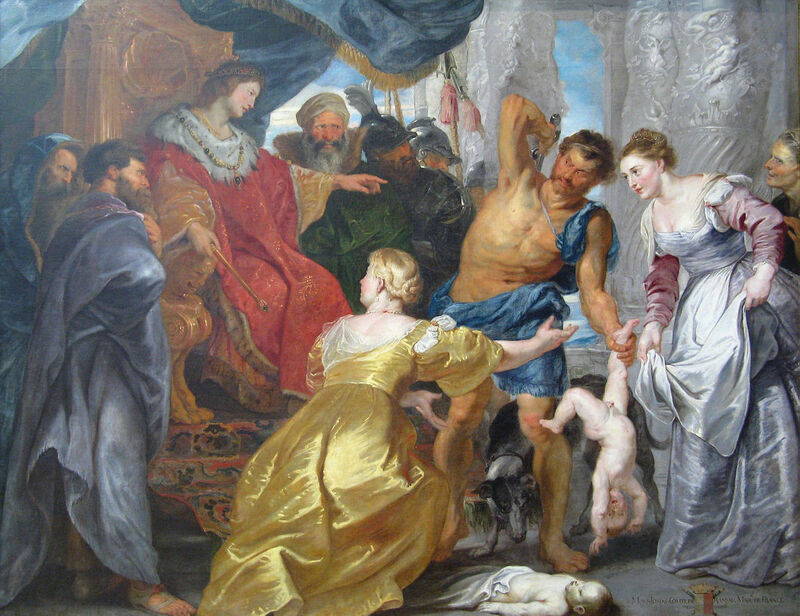 Commonly known as “The Judgment of Solomon” and found in the Old Testament Hebrew scripture of First Kings, the story goes that two mothers (both prostitutes or “harlots” in the 1611 translation) have babies at roughly the same time, but one dies and they quarrel over whose is the live baby. The case comes before Solomon, who directs a swordsman to cut the living baby in half and divide it between the two mothers. As the swordsman pauses before the downstroke of his mighty sword, one mother cries out to stop and give the child to the other one (the other approves of the idea). 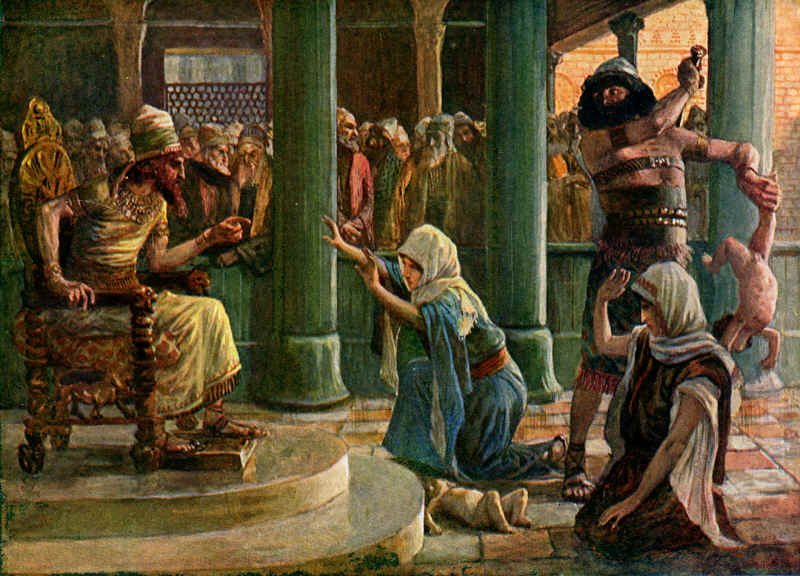 This leads Solomon to command the swordsman to not cut the baby, and to award the living child to the woman who cried out for the swordsman to stop, believing she must be the child’s true mother. The constellations we have henceforth examined also form the basis for this scene: Corona Borealis represents the baby being held by the swordsman (Hercules), the seated figure of Boötes represents King Solomon on his throne, and Virgo represents one or both of the mothers (notice her extended arm towards the baby, in either a gesture of compassion or accusation). King Solomon (1617), Peter Paul Reubens (1577 – 1640). Flemish Counter-Reformation / Baroque. Wikimedia commons (link). Note the extended arm of the mother (characteristic of the constellation Virgo in the night sky), the arching baby (making the form of Corona Borealis in the night sky) in the hand of the swordsman (whose sword is extended over his own back, directly paralleling the constellation Hercules in the night sky), and the extended arm of the seated king, with thumb and forefinger creating a “V”-shape directly paralleling the “pipe” of the seated form of the constellation Boötes in the night sky. 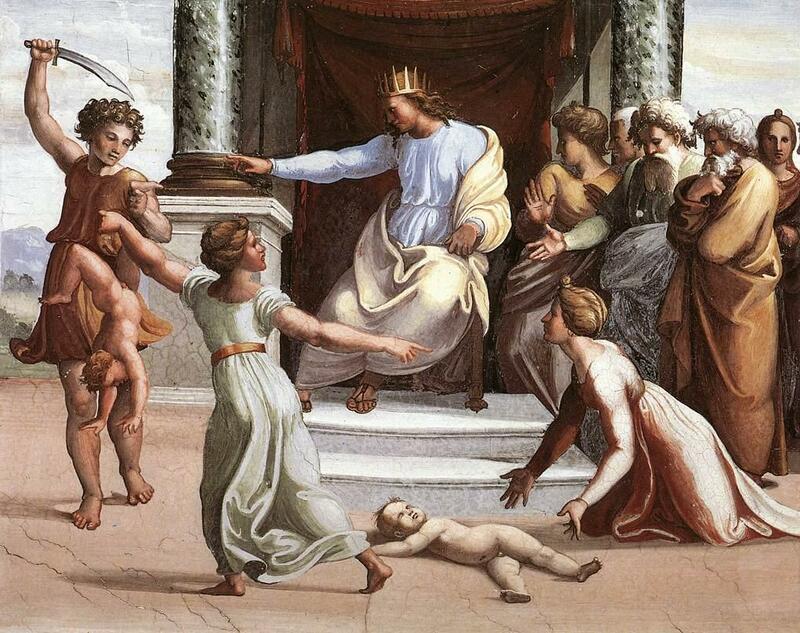 Judgment of Solomon (1517 – 1519), Raphael (1483 – 1520). Italy, High Baroque. Wikimedia commons (link). Note again the arching baby (clearly evoking Corona Borealis), the upraised sword of the swordsman (directly paralleling the weapon held in the hand of the constellation Hercules), the outstretched arms of the pleading mother who evokes the constellation Virgo (as opposed to the accusing mother, whose two diverging arms are more suggestive of Pisces than of Virgo), and the extended arm of the seated king with another characteristic “V-shape” formed by the thumb and index finger, evocative of the constellation Boötes in the night sky. Again, we see the same consistent artistic conventions being employed in this scene, literally across centuries. We see the baby arching in a shape most reminiscent of the curve of the constellation Corona Borealis, held by its heel (as was Achilles) by a massive swordsman whose great scimitar is extended over his own back (as is the scimitar held by the constellation Hercules), as well as the mother pleading with outstretched arms, and the seated form of the king with outstretched arm extending one finger (again evocative of the constellation Boötes). These images sufficiently establish that it has been understood – historically – that the constellation Corona Borealis is sometimes (in fact, quite frequently) envisioned as an arching baby in the hands of Hercules. Suffice it to say, this is an “obvious” way of seeing the constellations; that such myths could have just “popped up” in complete isolation among various human cultures across millennia seems extremely unlikely. There are in fact many other examples of constellations whose mythological manifestations are not very obvious at all, and which – just like the arching infant – show up in variations of the same role in Star Myths found in all corners of the globe and across vast gulfs of time. Let us now briefly ask “Why” the ancient myths of the world, all around the globe, would be built upon celestial allegories. I believe that whoever imparted the ancient wisdom in the sacred myths were consciously using the stars as a sophisticated metaphor to impart profound knowledge of the Invisible Realm and our connection to it. The celestial players in the heavenly realm above our heads – the sun, moon, stars, and visible planets, along with their intricate cycles – were used to convey truths about the infinite realm, which is in fact real, and of vital importance to each of our lives, and to the collective survival of all life on earth, even though it cannot be seen. The stars in their heavenly courses (including the sun itself) can be seen to “belong” to the heavenly realm, the spirit realm, the realm of the gods — but to plunge below the western horizon due to earth’s rotation, as if they are leaving the realm of pure spirit (the sky above, the domain of air and fire) and entering the “material realm” below as they make contact with earth or water (the lower two elements). The same conflict can be demonstrated by an analysis of other mythical characters, including Achilles. This is because these stories are not in fact about external, literal, or historical personages – they are about the condition of each and every human soul in this incarnate life, which has plunged from the spirit realm, the divine realm, into the material realm, taking on the body of a man or woman – bringing the divine spark into the “human family,” so to speak. In fact, the entire “incomplete baptism” metaphor appears to be playing with and illustrating aspects of our condition here in this incarnate life, for the process illustrates an interplay between immortality and mortality: as if perhaps our very participation in the process of taking on a mortal body (perhaps on many successive incarnations) is somehow connected to the elevation of the divine aspect of our nature and the eventual triumph over the cycle of mortality and death. And these are some very brief explorations of the profound spiritual significance conveyed by these exquisite sacred myths that were imparted to the human race. There is much, much more which can be immediately applied to our daily lives in astonishing and positive ways. It should be clear that the world’s Star Myths, even in their “mist-covered” state, point to conclusions with absolutely incredible ramifications about humanity’s ancient past. But, what is very exciting is that this vast archaic structure is in many ways not actually “ruined” but in fact only sleeping – and that it can be applied to questions of immediate and daily significance, as well as the incredible sweep of our planet’s history. I hope that you will find this subject to be one that you choose to pursue further. I believe that it has incredible significance for all of us. 1. De Santillana, Giorgio and Hertha von Dechend. 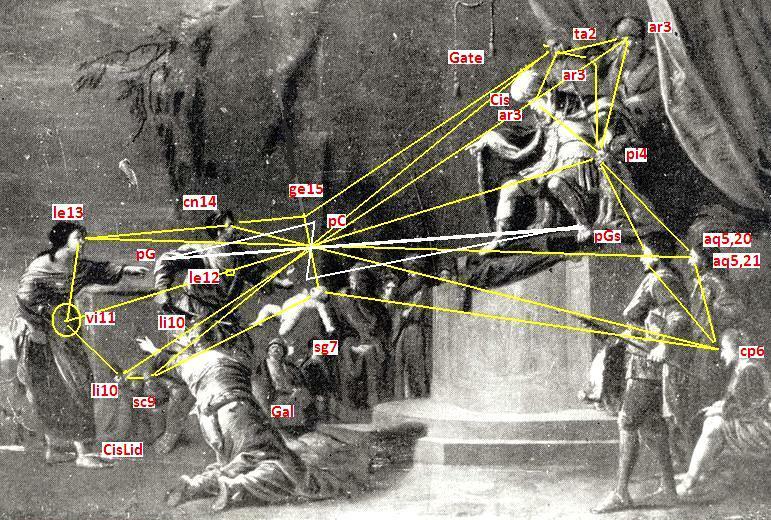 Hamlet’s Mill: An Essay on Myth and the Frame of Time. First Paperback Edition. Boston: Godine, 1977. (first edition published 1969). The quoted section is found on pages 4 and 5 of the 1977 edition. 2. Plato. Phaedrus. R. Hackforth, trans. In The Collected Dialogues of Plato, Including the Letters. Ed. Edith Hamilton and Huntington Cairns. Bollingen Series LXXI. Princeton, NJ: Princeton UP, 1963. (475 – 525). 3. Luomala, Katherine. Maui of a Thousand Tricks: His Oceanic and European Biographers. Honolulu: Bernice P. Bishop Museum, 1949. Page 3. 4. Ibid, 32 – 33. 6. Plutarch. Moralia, Volume V: Isis and Osiris. The E at Delphi. The Oracles at Delphi No Longer Given in Verse. The Obsolescence of Oracles. Frank Cole Babbitt, trans. Loeb Classical Library 306. Cambridge: Harvard UP, 1936. Of Isis and Osiris: 3 – 193. 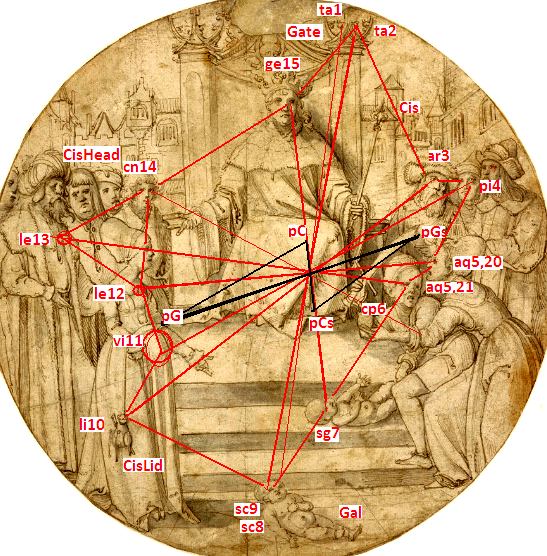 David, you explain several paintings on the theme of Solomon’s judgement, as a particular quarter of a consciously encoded star map, in the Virgo, Bootes, Hercules and Scorpius quarter. Do you also take the relevant myths as conscious expressions of constellations, due mainly to their shape, and presumably their calendric position? However, it seems you require evidence of an elaborate secret tradition that taught many mythographers worldwide, and taught these artists the intricate details of posture, function, legend, and relative spacing. And they would then have to have lived and died sworn crypto-astrologers. I tested the paintings that you demonstrate as celestial star maps, and found them to express the standard set of subconscious archetypal figures, that no secret tradition, no art school, and no astrologers ever knew. Myths, rituals, and constellations also express the standard set of types, all as pairs of opposites on an axial grid. Our collective subconscious made, and maintains, our myths, calendars, art, and constellations; not the other way around. 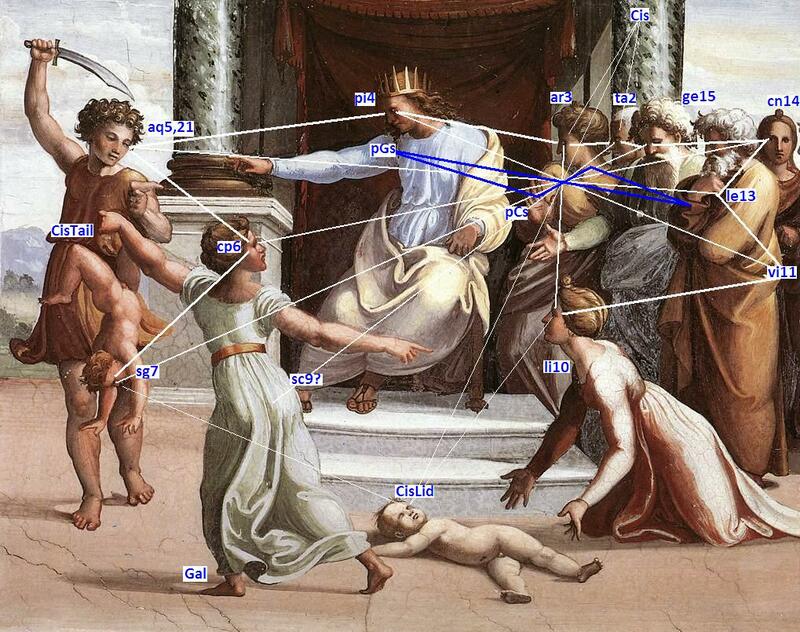 Here is my evidence for subconscious expression of archetypal structure, using the paintings you selected, tested against the mindprint grid (see my article at AOM September 2015). Note that there is some variation between artists, in which character expresses which type, thus they did not follow a template. 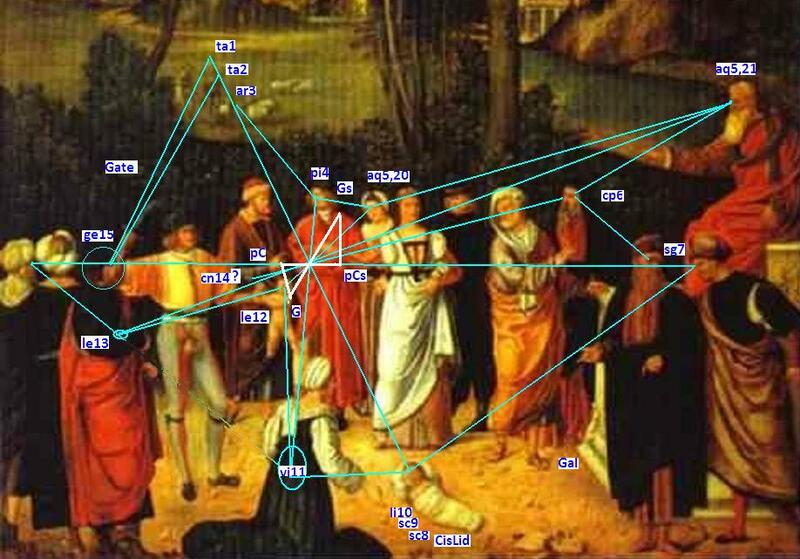 The artists followed an innate compulsion to complete the set of characters; each with some of their variant attributes (noted in brackets); in sequence; and with their eyes on an axial grid that crosses in one point. The two ‘exceptions’ to the eyes, one axis to a heart, and one axis to a womb, are standard parts of the typological set. And there are six polar features that are difficult to explain to non-astronomers. Thus it is a pleasure to show you this. 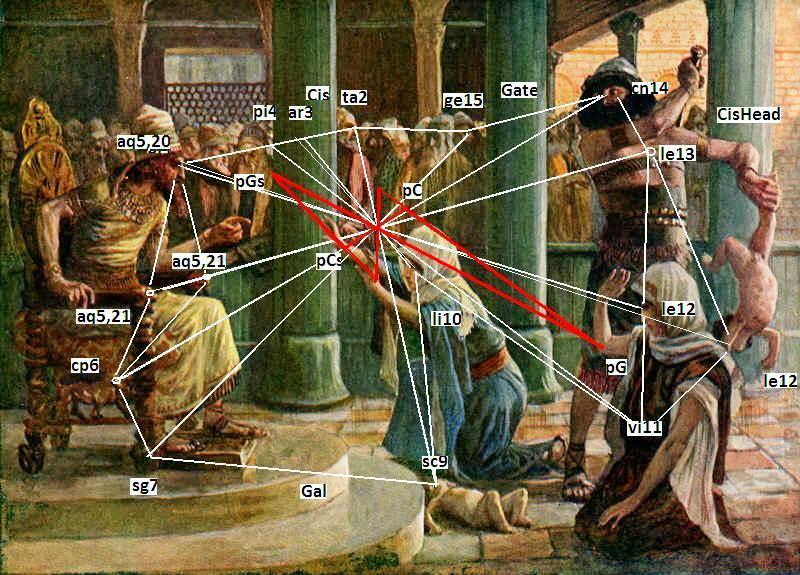 If you are tempted to believe that all these artists had the same star map, precessional polar ratchet included, note that the closest analogy to the mindprint grid is an eclipo-centric northern hemisphere projection (not a celesto-centric projection). And note that mythical and artistic figures are not mere copies of constellation gestalt (connected dots). I criticise De Santillana and Von Deschend’s Hamlet’s Mill, in Mindprint, for the same reason; they assume a conscious crypto astronomical tradition, that became ‘degraded’ with time. The opposite is true. The ‘lost whole’ is subconscious, maintained by all civilisations, even without mutual contact, and never lost, since it had never been consciously found. li10 CisLid sc9 sc8 Gal sg7 cp6 CisTail aq5,21 aq5,20 pGs pi4 pC pCs ? If you need more than one question mark, try a different sequence, or a different grid, before you criticise the talent of the artist! Thank you Edmond and apologies that I was looking at the AoM message board for replies and neglected to look over here at the original article. I try to be fairly open in my statements about “where all this came from” — I believe one of many possibilities could be correct, as I said in a reply over on the board to a question about that (here: http://grahamhancock.com/phorum/read.php?8,1043125,1043270#msg-1043270) — and so I am quite willing to entertain the possibility that it is some kind of “archetype” or universal consciousness or pantheistic divine force “working its way out” through the “crystals of our minds” and of the atomic structures of all beings and all matter as a valid possibility. But I absolutely acknowledge that as a possible explanation — I think the source of these myths could be from “the other realm” or from “divine expression” in some way, and am I wrong in placing your explanation into that category in some sense? Yes, the origin and sustenance of myth is archetypal structure itself, aided by nature with its structured expressions, such as species, chemistry, DNA. Culture is largely natural and subconscious, which we pretend to be artificial and conscious. If you agree with the archetypal explanation, then star myth is just myth. Constellations and the planisphere are myth maps. Perseus is a character in a myth cycle, and incidentally also an art cycle, ritual cycle, calendric cycle, and constellation cycle (among the decans, as one part of the five main parts of Taurus, which is a species, and a myth, and a ritual, and incidentally a constellation). The ‘mist’ is not due to any effort to hide ‘knowledge’, nor in lack of effort to remember anything. Plato and many others studied archetype. It is not a new concept, just an uncomfortable one to ego-driven science and popular culture. Freud, Jung and many others studied myth. De Santillana and Von Deschend both are among my heroes, but their thesis was wrong. Icelandic myth does includes elements of the slow movement of the four seasons from one temporal framework, to another, against the seasonal sequence; however that aspect of myth is not conscious; was not disguised; was not lost or re-discovered; Icelandic poets were not master astronomers; culture did not devolve, or change in format, as they allege. Myth is not proto-science. They are correct in Von Deschend’s explicit statement that culture does not evolve. The problem with the Bullinger conclusion is that the stars also tell the story of the Bhagavad Gita, and the Ramayana, and the Iliad, and the Odyssey — and they do of course also tell the story of the New Testament Gospel-cycle, and the Samson cycle, and the Heracles / Hercules cycle, and the Maui cycle, and the Gilgamesh cycle, and the Isis and Osiris cycle. So, while I do agree that he was able to see “the Gospel in the Stars,” I would not agree that it validates one sacred tradition over any of the others. Most of those who wish to maintain that the Bible should be taken literally (as telling the story of terrestrial, historical figures and events) have in the past decades generally distanced themselves from the “Gospel in the Stars” argument — I believe because they probably realize that if you go down that path too far you may reach the conclusion that the stories are in fact based upon the stars themselves and do not require terrestrial historical players to validate the truths that the ancient texts wanted to convey. Yes David, your list of near identical myths should give funamentalist human scientists, and fundamentalist archaeo astronomers, pause for thought. | just want to add that at the end of comparative mythology, lies compulsive, subconscious expression of natural and thus archetypal structure (itself). Myth, ritual, rock art, fine art, calendars, and constellations are different media for that expression. They sometimes illustrate one another to some extent, but myth does not dramatise constellations. And constellations do not only illustrate myth and calendar. Correspondence theories should see the bigger picture of culture. Read Jung and Levi-Strauss again. Orion (for example) is an element in a myth cycle. Every artwork, and every myth, and every ritual in the world has one (or its companion, Auriga, or its other half, Taurus). The constellations also have an Orion, but the sky is not the origin or prompt or sustainer of Orion. Bullinger is of the ‘Bible from the stars’ or ‘Stars from the Bible’ school. However myth, ritual, art, sacred books, constellations, and the Bible, all express archetypal structure. The message is nowhere completely spelled out, since structure itself is the message. These passages are about archetype, and its expression in nature and culture. They are not about crypto astrology. My previous comment above includes graphic evidence that artists are prophets, since they express archetypal stories, with characters having specific attributes, in a strict sequence, with their eyes on a strict axial grid. This subconscious expression does not come from constellations. Nature and culture collude to express our story also in the Seasons and in the sky. Out story is archetypal, and rigorously structured. Mindprint in art compares to the Bible code; a kind of grammar or DNA. It is not knowledge, although it requires some knowledge to tabulate. David, thank you. You, too, Graham. I’ve been doing research on these topics since before plate tectonics was introduced to the classrooms. Your publications, and those of several of your AoMs have been most welcome companions to my own thoughts and conclusions. … Inspiring in bleak moments, even. I appreciate having a place to be able to thank you all, as i do not prefer to use most ‘social media’. I suspect that there are quite a few ‘silent scholars’ out there who thank you, as well….Z. David, is there a way around subscriptions, etc for me to e-mail you ? How about the Odyssey for inspiration in bleak moments! The more I re-read it, the more amazing that text becomes. I’m just beginning my study into the omission of vowels in the writings of the priestly class of the Egyptians and the Israelites. The word “Christ”, aka KRST, is intriguing to me because I am pretty sure that the person known as Jesus never was actually called “Christ” while he wore his meat suit. YHWH also comes to mind. What’s the point of this vowel omission? Was this a practice seen in other cultures? Re to your area of expertise I recall reading that the word “Christ” was ultimately derived from the Egyptian Kar-Ast. Unfortunately the Internet lacks an adequate resource when delving further into this etymology. A catholic priest once told me that it means “anointed mummy”. That didn’t make a lot of sense, imho. I have read that Kar is an element of the soul, or “higher” self, perhaps even the 7th Chakra. I often see this 7th chakra as the logo for the “kars” we drive (esp chrysler, Mini Cooper, etc). I see the “ast” as relating to our stellar origins, as in ast-rho-logy. In summation I can only conclude that Kar-Ast literally means that our souls ultimately have a stellar origin. I’m pretty certain that you’re referring to is actually something that Gerald Massey wrote about in the nineteenth century (the KRST discussion). I agree with much of Massey’s analysis in some areas, and disagree with him in many others. It’s possible that the etymology is telling us that — but I can’t really elaborate on those areas that you have discovered or are pursuing: those are areas for you to elaborate upon as you research it, especially if you continue to find more evidence to support what you’re seeing! I do believe that the message is encoded on multiple levels — in writing systems themselves (including the shapes and sounds of the letters, such as the precursors to our “A” and “M” and “S” and “O” etc), in the words and their etymology, and in the stories and episodes, which themselves can be shown to connect to the stars. And I believe that the action you refer to in the final sentence about the soul “coming down from the realm of the stars” is one of the things that they are saying — although it may be that they are using that description to explain what takes place in the world we cannot see, and are not telling us that this is “literally” what happens (not necessarily saying that anyone’s soul comes down from a particular point in outer space, in other words). Yogalot, you may want to check on Arabic as predating Hebrew, and the origin of some of the re-formulated ‘instant’ culture. And Babylonian predating Egyptian. And the later wave of Babylonising, after the second exile, when the Bible was written. Etymology is not a reliable record of its own mutation, ironically. Some other factors include the practical need to differentiate sounds, the socio-economic need to be different from other cultures (Canaanite /Greek), as evident in American English even after standardisation by books and newspapers (they even wanted to redesign metrology); and mutation cycles, such as consonant interchange in writing and speech, vowel interchange in speech and writing; and mutations driven by formal conventions such as writing, and liturgy. Then there is the layer of more mathematical logic at the formation stage, which fortunately is moderated by instinctive adoption of certain loan words, and by some applications from idoms. The most reliable guide to etymology is the underlying structure in the various systems that make up speech; sound differentiation, and that make up language; grammar. Thesse structures are never violated, so the optional elements are adjusted accordingly. Thus the main element that makes language different, the allocation of archetypal meanings to words (sound strings), is highly arbitrary. All languages retain some logic in that arbitrary allocation, probably testable by the Zipf code (patterns of repetition). Read Jacobsen, Noam Chomsky, and others. A can of worms, but it is possible. It would be a mistake to use cryptology, and to see etymology as a conscious code. Languages form themselves, by subconscious logic that is almost beyond description. Alpha-numeric systems, for example, seem to be partly beyond artificial computation. I suspect that is due to AI people not recognising that some apparent exceptions are actually rules (see my book, Mindprint). I have found that great parts of cultural expression, in all its media, are accessible to conscious logic, beyond the level of known grammar and etymology. Archetypal structure has strict rules in visual art (analogous to the periodic table, and to DNA), explaining an apparent variety of styling. Same in myth and ritual. Structural anthropology once took its cue from linguistics. Linguists should return the favour. In 2008, scientists Marcelo O. Magnasco and Constantino Baikouzis at Rockefeller University used clues in the text and astronomical data to attempt to pinpoint the time of Odysseus’s return from his journey after the Trojan War. The first clue is Odysseus’ sighting of Venus just before dawn as he arrives on Ithaca. The second is a new moon on the night before the massacre of the Suitors. The final clue is a total eclipse, falling over Ithaca around noon, when Penelope’s Suitors sit down for their noon meal. The seer Theoclymenus approaches the Suitors and foretells their death, saying, “The Sun has been obliterated from the sky, and an unlucky darkness invades the world.” The problem with this is that the ‘eclipse’ is only seen by Theoclymenus, and the Suitors toss him out, calling him mad. No one else sees the sky darken, and it is therefore not actually described as an eclipse within the story, merely a vision by Theoclymenus. Doctors Baikouzis and Magnasco state that “[t]he odds that purely fictional references to these phenomena (so hard to satisfy simultaneously) would coincide by accident with the only eclipse of the century are minute.” They conclude that these three astronomical references “‘cohere’, in the sense that the astronomical phenomena pinpoint the date of 16 April 1178 BCE” as the most likely date of Odysseus’ return. Right now, today, March 7, 2016, Venus is shining in the dawn sky, and there will be an eclipse tomorrow. Not visible in Ithica, but…..
….. what are the chances ? all of which have spiritual significance related to our own experience in this life. and that they often have to make some contortions to try to make it work (sometimes obvious contortions, and other times more subtle contortions). This is similar to the contortions to which those who have a dogmatic need to force the scriptures of the Old or New Testaments into the category of terrestrial history must also occasionally resort. That is my conclusion after looking at a lot of evidence, but I understand that most people are not inclined to agree with it at first. 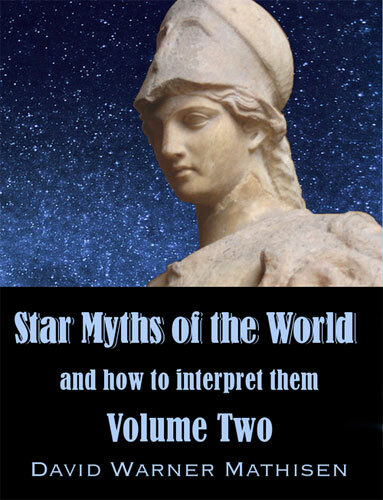 I would invite anyone to read through Star Myths Volume Two (which deals with the Greek myths and with the Odyssey in some detail) and see if after reading it they do not agree with what I’ve said above. Same applies to the Iliad. The short answer to that is, of course: “Of course!” But the bigger problem is, briefly stated: which of the many Star Myths around the world (all of which relate to the constellations) “really happened” and which of them are “pure Star Myths”? In other words, if I can show you ten myths or ancient sacred stories or adventures based on a certain set of constellations, one version from the Odyssey, one from the Mahabharata, one from the Old Testament, one from the New Testament, and one from ancient Japan — which one happened “literally”? I personally find strong evidence that they are all based on the stars and point to spiritual truths. Knowing when Odysseus landed back in Ithaca (as a date in history) doesn’t have very much spiritual meaning to my life — but knowing how to understand that his return to Ithaca is related to the experience each one of us has in coming down to this incarnate life in the material plane: that does have a lot of relevance to me and (I would argue) to everyone else as well, which is why I believe these Star Myths were given to humanity in the first place. All that said, that’s my line of investigation and research — I don’t discourage others from pursuing the evidence that they see out there about an actual voyage of Odysseus going from this point to that point during this century or that century. I encourage honest research and willingness to at least consider all the possibilities that the evidence may support. I have found so much evidence that the voyage is celestial that I’m pretty convinced the story is celestial and not terrestrial. But I actually love it even more because of that. Certainly it is all written in the stars. Great article and articulation. No doubt Joseph Campbell and Carl Jung would concur. i am not proposing any theory about what i posted from wiki. I was amused at the synchronicity of the sky pattern they proposed with this week’s sky. No theories, intended or implied, except for synchronicity, maybe. Z. Thanks Z and apologies for my being obtuse! I had to address their theory but your point about the sky this week I did not address! So — I totally agree that the observation of the heavenly cycles is both important and delightful at the same time. The fact that Odysseus returns home at the New Moon is mentioned more than once in the Odyssey (and by Odysseus himself, in disguise, when he is talking to Penelope and “predicts” his own return to her in conjunction with that heavenly cycle), and we can contemplate that every time we ourselves observe the approach and arrival of the New Moon. The considered ordering of our own lives with the motions of the majestic cycles of the infinite heavens is indeed one of the central messages of all the ancient myths. It is a form of demonstrating in our own lives, of living out, the “as above, so below” dictum. We can see it in the celebration of our birthday each year. We can also see it in the celebration or observation of the various annual cycle-days or holy-days which are imbued with deeper spiritual meaning, such as the observations of Halloween or Samhain, Christmas or other Winter Solstice observations, Durga Puja, and so on. I would also suggest that the performance of certain “forms” in the martial arts and in Yoga etc is a way of “aligning” our motions here below with the grand cycles there above. For instance, the “long form” of Tai Chi is composed of 108 sections. Thus, performing it “aligns” our motions with the awe-inspiring ages-long motion of precession. So, your observation that we are seeing now the heavenly conditions that may have marked the “motions” in Odysseus is a wonderful observation. Again, apologies for “whizzing right by it” in my haste to address theories about the specific historical dates (or specific terrestrial geographical motions) which some researchers wish to propose for the events in the Odyssey itself. I think that exercise (trying to find out when and where a supposed “historical” Odysseus lived and moved) is somewhat futile (because I think he is celestial), but I think your larger point (about the observation of the return of the point on the cycle of the Moon and Venus) is wonderful! No problem. Perturbations in the “feel-ed” were expected. I am more interested in the astronomical configurations which determine Holy Days in different cultures. I would not have been looking at Odysseus at all , but for you. Doing so added a whole other level of enjoyment to an already exciting astronomical time. For those of us who don’t have the time or brain power to make this a life-long research topic, maybe you can summarize a couple of points? Such as, if all these myths are conveying the same message, exactly what do you think that message is? And maybe that will answer why they’d use “pictures” in the sky to hand it down? You seem to think all these elaborate and world-wide myths are based on things in the sky which are no more obvious to me than anything I see in the clouds. What makes you think they’re so fraught with meaning?